Here and throughout the blogging world, spleens have been vented, feet stamped, cool lost and superlatives exhausted – at the gross incompetence and ineffable profligacy of a sitting government; and all to the accompaniment of the opposition’s sneering triumphalism laced with preposterous claims of competence and reliability. Soon the fabled one week in politics will live up to its reputation and prove to be a long time since 8th June. The Queen’s Speech will be agreed by the warring Tories, the opposition will have their jolly bunfight in the House, the negotiations with Brussels will duly begin – and everybody will go away on their hols. 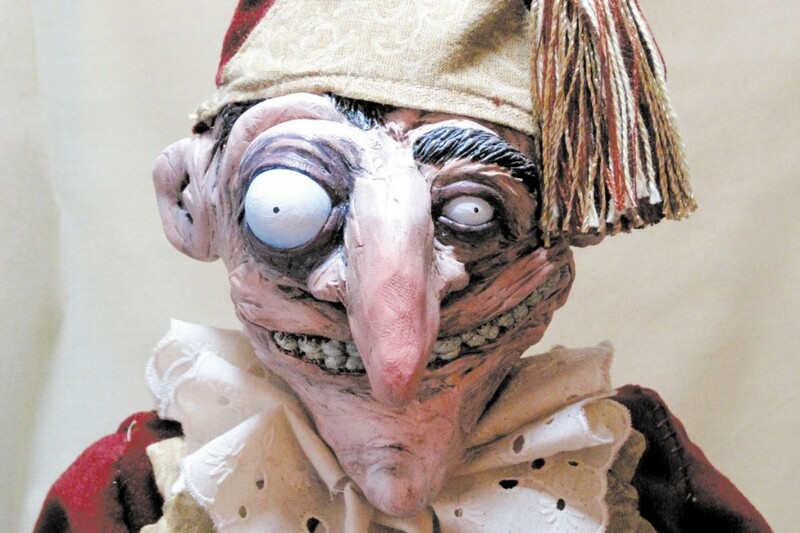 Or alternatively, you can savour the prospect of another election very soon and the even more tasty threat of a communist PM with all the statesmanship of Mr Punch. That’s the way to do it. The govt will stumble on with DUP support. Who knows for how long? I would guess something between 6 months and 2 years. Before too long attention will be diverted by truly pressing issues such as a Z-list “‘sleb” prancing about naked or some second-tier footballer’s wife getting another ghastly neck tattoo. Meanwhile, at Westminster, Corbyn will go back to being incompetent, Abbott will continue to be a veritable goldmine of comedic quips and life for most in Britain will go on as always. Jazz: I’d give it two years. No one really wants the unenviable task of completing negotiations with the EU, although it seems as if the Swiss Arrangement is all but agreed upon. It’s been offered and seems to have the majority in Parliament behind it. Today the Beeb interviewed voters in B’ham. They didn’t know what Brexit is! Modern technology has not raised their IQ or interest in such boring topics. CT, what does Switzerland pay for the privilege? PS Wiki reckons they’ve stumped up a couple of billion €s in 9 years. Cheap? Janus: £53 per annum per capita,compared to £106 for Norway or the present £128 for the United Kingdom. At the same time, the Swiss are able to make their own trade deals, have ways to limit freedom of movement de facto and are sovereign. EU laws apply only in respect to trade with the EU. That, frankly, isn’t any worse than dealing with the Trumponians. It’s a question of “do the benefits outweigh the costs”. In this case, a significantly reduced contribution for similar market access without most of the baggage might be worth it. Remember when they said William Hague was the best Prime Minister we never had? The past week has shown me, to my shock and surprise, that Theresa May could be the worst that we have had. How, in the face of a wide open goal offered by the Corbyn, Farron, Sturgeon trinity supported by politically naive student Marxists and others who get their news, politics and opinions from the Book of Face (University of Life – Failed), she could score such spectacular own goals as the aptly-named dementia tax is beyond my wildest comprehension. The NSW has removed all objects heavier than a sock from within throwing range of the telly and I am forbidden to shout or swear at it either. OZ, there there! Worse things happen at sea – or do they? Janus: It’s easier to hide the bodies at sea, at any rate. There are several letters in today’s Times from people in constituencies with a university and in some cases a so-called one as well. The students (bless their woolly little brains) have flocked to vote Labour because of Corbyn’s bribe to abolish tuition fees. This means that the local electorate has been landed with a Labour MP who will be there for five years perhaps, while the students will have completed their degrees or dropped out and moved on, heedless of the damage they may have caused. The government must insist that students register to vote at their home addresses or hold every election in the long vac. Today, I tried to explain to an Ozzie what had happened in the UK election… She’s pretty cluey, but she simply could not believe that any PM could make such a dog’s dinner of what appeared to be a simple matter – and we have plenty of pollies here who shoot themselves in the feet on a regular basis. Christopher – before Jazz explodes – might I point out that the referendum was not about a Swiss / Norway or whatever other arrangement whereby the UK pays money into the EU, suffers EU laws and has to accept EU diktats regarding ‘free movement’. It was a straight IN / OUT question. I’m not in the UK, but I rather have the feeling that most of those who voted OUT do not give a damn about what the majority in Parliament want – they want THEIR wants fulfilled. And they voted for fully OUT. Sheona – in your dreams! The whole UK voting system needs an overhaul – but who has the incentive, guts, or power to do it? The people of Brighton and Hove are stuck with a Green MP, because of the Uni, and as you say – other areas have Labour MPs foisted upon them by their student communities. Boadicea: That was precisely what was on offer, so far as leaving the EU with no post-membership deal if that was what it took. Suddenly, the British Government finds itself limited in what it can get through Parliament. The DUP have ruled out supporting the government if it doesn’t agree to some sort of arrangement similar to what other non-EU members have. Ruth Davidson has ruled out supporting a clean break.Remoaner English Tories resented May’s pre-election approach, they now have the necessary allies from Scotland and Ulster to support them. It’s now a matter of finding the last bad option. I agree with you, please don’t misunderstand what I’m saying. I am looking at what can be realistically achieved at this point with a hung parliament. Switzerland, by the way, doesn’t accept any EU diktats. They have no force under Swiss law and Switzerland is fully sovereign. Trade with the EU is done along the lines of what the EU requires — but that is little different than a trade agreement with the USA, China, India, etc. The least bad option, I mean. I suppose we can only be thankful that Steptoe was the Labour Party Leader. Anyone even vaguely competent, even Yvette Cooper-Goolies, would have thrashed Theresa. Christopher, I think your assessment above of the least bad option is about all that is left on the table. Still think it was engineered deliberately. CO: I’m inclined to sympathise with Christopher Booker’s position. The UK had to leave the EU. It was at the best of times an uncomfortable match and what the UK could realistically agree to was not what the EU’s fundamental ambition was. If anything, Brexit has forced the EU to formalise what has been evolving for years — countries that are fundamentally opposed to federalism such as Denmark, Sweden, Finland, Poland, Hungary, etc. will simply not federalise as those that are inclined to — France, Germany, Belgium, Italy and Luxembourg will. However, the UK has become terribly entangled with the European market over the past 45 years. Even though it is a quickly declining share — and I fully support the UK stepping out and pursuing its own economic interest and trade deals on a global level — the economic shock would be severe. Trade deals are complex, hence the EU’s preference for a relationship based on an already existing system that could be adjusted for the UK’s particular circumstances. Booker, as well as Daniel Hannan and other prominent “leave” supporters were quite frank in stating that the UK would not get everything it wanted, but it could do far better. Christopher (and anyone else) – Look, can we please stop beating about the bush once and for all and forever. Federalism as per Germany, France, Belgium. Italy and Luxembourg (you may as well add Lichtenstein and Andorra to the morass, for all it’s worth) will always be about controlling Europe and creating a federal state that punches way above its weight, recent history being ignored in the process. All these countries individually have a history in the past century (and in the recent previous) of either aggression, collaboration, surrender or irrelevance to form the EU whereas most Brits of certain generations, of which I include myself, who still think of themselves as Inselaffen on their rock (despite Labours’ best efforts to open the borders to any Tom, Anatoli or Mahmoud who will vote for them), basically still have a visceral opposition to being told by defeated enemies what to do. Oz: You’re preaching to the converted. There is a reason why I cheekily call the EU “Jean Claude Plonker’s Fantasy Euro-Reich”. It is, in the end, a cancer — one that is killing the Continent. Yet, electorates are wedded to it and few politicians have the imagination to propose something else to replace it. That the EU will be a federal state that will always punch well below its weight and remain reliant on British and American largesse is entirely irrelevant to the lot. The UK will leave the EU, it will leave the Single Market and it will leave the European Customs Union. It will be a sovereign country again and the EU will not be able to dictate laws to it. The points I am trying to make aren’t intended to be condescending. I’ve had enough of that in this rat-hole that calls itself “Germany”. I receive a lot of abuse because of my staunchly pro-British views and it has been made abundantly clear that would be best for me to either shut up or leave. What I am is a realist. I understand the views of my fellow Charioteers and largely share them. I also understand the positions of other European governments and electorates. I also, from my limited experience doing small business dealings with Australia, know how absurdly complex customs and international business regulations are — especially when the Huns get involved. We are in uncharted waters. Britain’s liberation is a splendid thing, one that will be achieved. The UK will, of course, do far better than its continental “friends” — but they will have to work together and business is business. Janus: Imagine being surrounded by people who think that Sturgeon is a strong leader who is doing her best for the Scottish people. But Janus, don’t ever tell Scots to shut up. That never turns out well. They’ll remember the slight 500 year hence. Where’s JM when we need him? There’s a big story in Caledonia. How long is it since they declared that they would not be rushed? Someone should tell europrat Barnier that negotiating with himself is the only way he’ll find someone of the level of intellect and competence to deal with. Didn’t I read that Plonker ‘urged’ Ms May to go to the country? Her Majesty begins, “My Lords and Members of the House of Commons,” then pauses to look at her notes. After making a bit of a face, she says, “This is all utter nonsense. Here’s what my Government *should* do instead…” and goes back to the Palace for a good stiff drink. I’m afraid I haven’t been following European events closely enough to fully grasp the difference between a “hard” and “soft” exit from the EU. No, please save your effort, I’m comfortable in my ignorance and neither need nor want to be enlightened by anyone who knows it all better. It’s just that, as an outsider, it seems to me that “out” means “out” and the Brussels lot would get the message soon enough when the money tap is turned off. If they fail to do so, then a brief nasty note to the Phlegms and Wallies should do the trick. The Government might, at its discretion, be charitable enough to offer the horde of British MEPs (some *six dozen* of them the last time I counted) a ticket home – but steerage class only, mind. “Negotiation” applies only when there’s something to discuss and the word “out” should be simple enough for all to comprehend. Britons have in the past shown themselves to be remarkably resilient and I’d wager that it wouldn’t be too long before the politicians find other things to quibble about and that green and pleasant land settles back on an even keel. Without resort to the numbers, I think (me, think?) that any financial shortfall resulting from leaving the EU could be largely made up by deporting “gimmegrants” *en masse* and by ruthlessly slashing foreign aid. I further suspect that trade with the Continent should also return to near-normal once individual governments over there come to realize that, without it, their own economies would suffer. Cog – I’m not going to explain the difference between a ‘hard’ and a ‘soft’ Brexit – other than to say the ‘Soft’ version has been devised by those who didn’t want to leave the EU and are trying to undermine the simple “Out means Out’ version and have a ‘make-pretend Brexit’ that doesn’t change anything at all. Cog, despite your advanced years and non-Brit status (!) your powers of thought seem to be relatively unimpaired. As Boa says, a ‘soft’ Brexit means a failure to get out and an agreement to keep paying through the nose. Boadicea and janus: Thanks for confirming that it’s about as bad as I thought. In my own not-always-so-humble opinion, “hard” should mean simply turning off the money tap and walking away, leaving the legion of Brussels petits-fonctionnaires to “negotiate” amongst themselves what to do without the UK. Why make things more difficult than they need to be? What’s the EU going to do if Article 49.675k isn’t correctly invoked, declare war? Sue in an EU court that Britain no longer recognizes? Now I just hope that a “Swiss” exit doesn’t have anything to do with ski holidays. Previous Previous post: Conspiracy theories?? Next Next post: This again?